812 Squadron Radio Mechanics (in whites) May 1945. P.O. 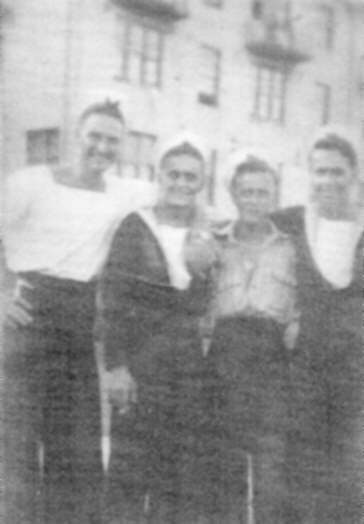 C. Davidson (2nd left to right). Others unknown, in Malta. Air Mechanic First Class (Ordnance) Thomas Morgan, served with 812 Sqdn. from January 1945 to February 1946. 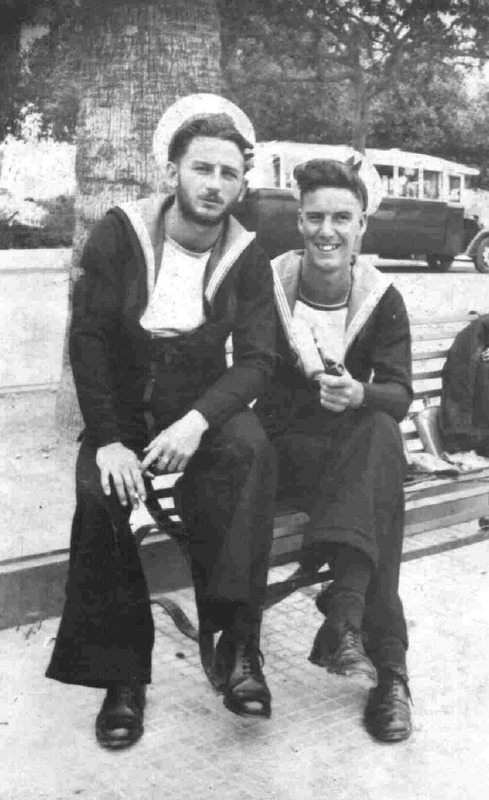 Air Mechanic (Electrician) Trevor Murphy (left) Air Mechanic (Engines) Geoffrey Tate (right), in Malta, 1945. Robert 'Jock' Anthony, Tommy ? 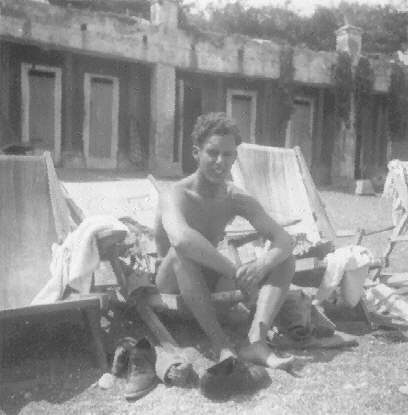 and Trevor Murphy in Malta, 1945. Taken at Valletta, Malta, in 1945. 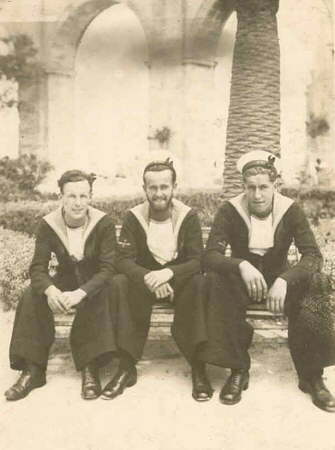 (l to r) Leo Durkin, Robert Anthony and Thomas McInnes (Air Mechanic's (E) 812 Sqdn.). 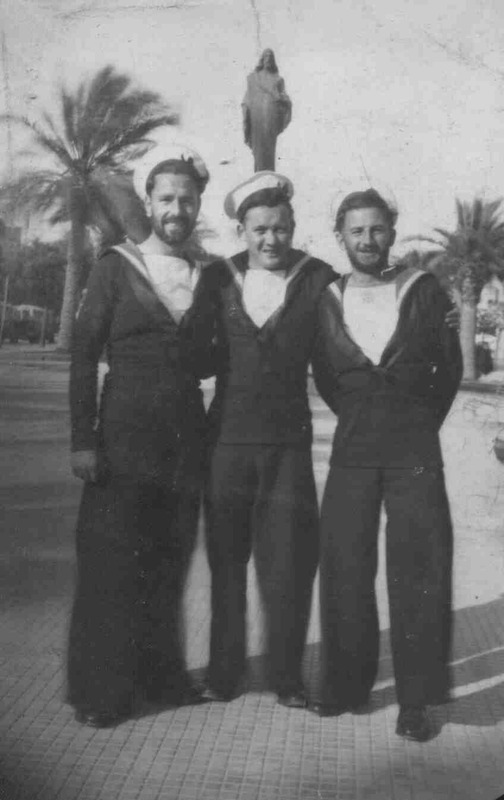 Air Mechanic Charles Morgan (1st left), Air Mechanic (A) Duffy (3rd left), in Malta, 1945. Others unknown. Pilot 'Nutty' Bristow at Taormina, Sicily in May 1945. 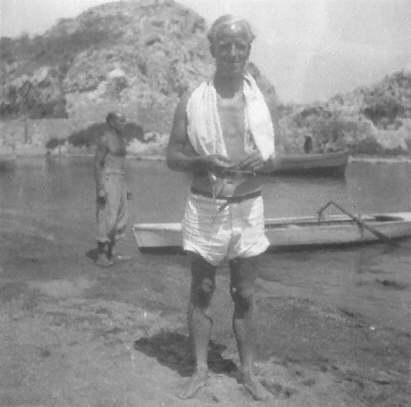 Pilot 'Digger' Digby on the beach at Taormina, Sicily in May 1945. 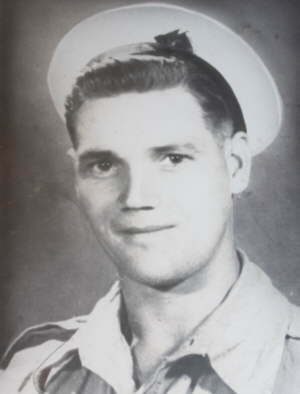 Petty Officer Radio Mechanic C. Davidson (812 Sqdn.) captured by a street photographer in Australia, July 1945. Observer A. 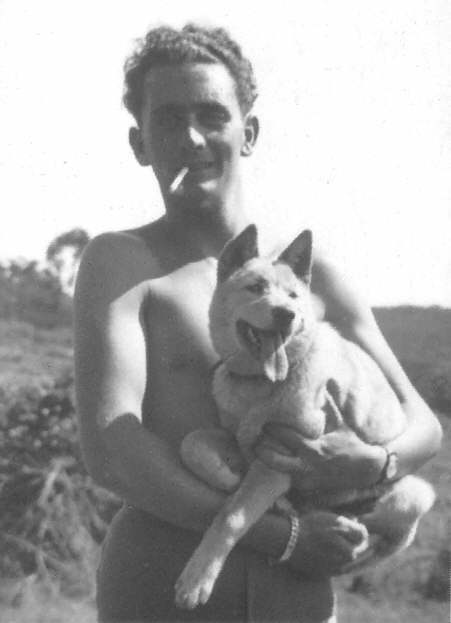 Cross with 'Ming' the Squadron mascot, who was bought in Hong Kong. She was run over at Schofields in Australia and had to be destroyed only 5 months old. 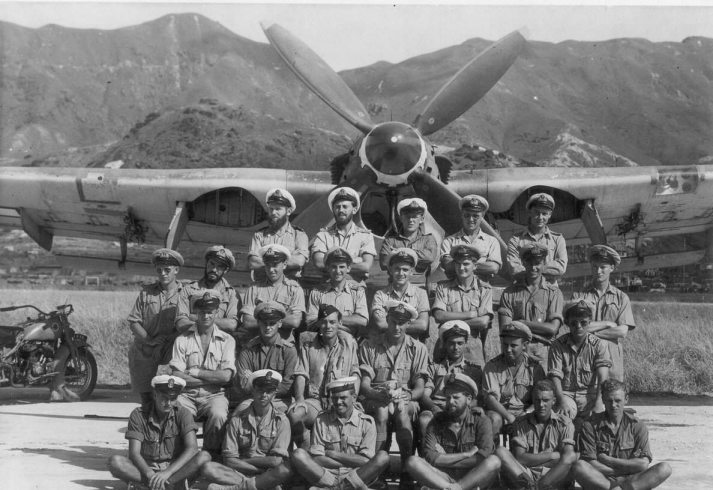 The Air Crew of 812 Squadron, Kai-Tak Airfield, Hong Kong in 1945. Back Row (l to r) S/L. R.Taylor (P), S/L. W. Williams (O), S/L. R. Burns (P), S/L. D. Smallwood (P), S/L. P. Stansfield (O). 2nd Row (l to r) S/L. J. Cookson (P), S/L. P. Throssel (P), S/L. D. Fairweather (P), S/L. J. Dickson (P), S/L. A. Cross (O), S/L. R. Roseveare (O), S/L. R. Parton (P), S/L. F. Wright (O). 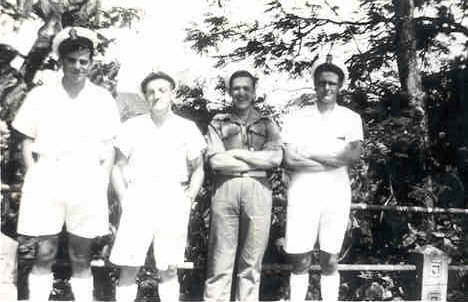 1st Row (l to r) Lt. T. Dewsnap (O), Lt. R. Tobias (O), Lt. M. Reagan (Sen.O), Lt. Cdr. 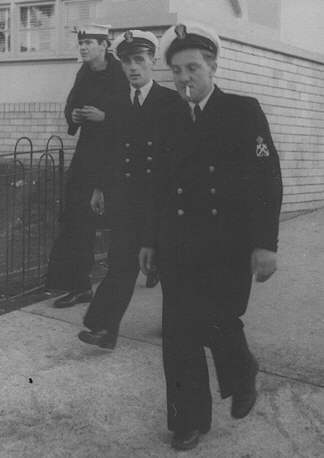 C. Coxon 'C.O' with 'Ming' (P), Lt. P. Poole (Sen.P), S/L. A. Balfour (P), S/L. L. Terry (P). Front Row (l to r) P.O. Wynn, P.O. Piper, Churchill (TAG), P.O. Hutchinson, Rouse and Preston (TAG's). (P) = Pilot. (O) = Observer. (TAG's) = Telegraphist Air Gunners. The Barracuda of S/L. 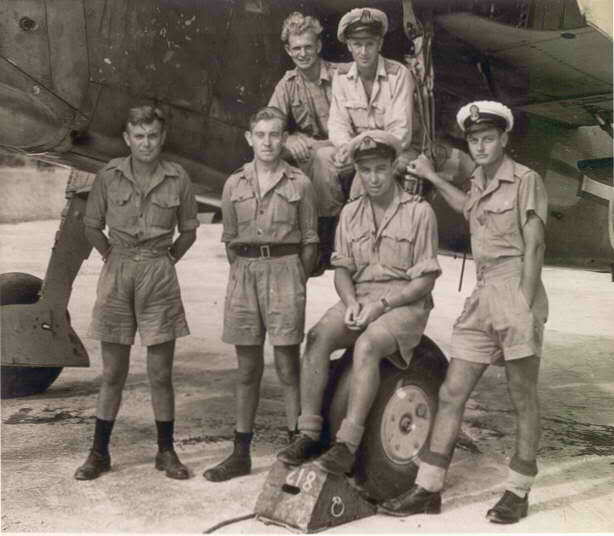 Smallwood, with Ground Crew (persons unknown) at Kai-Tak Airfield in 1945. Air & Ground Crew, with 812 Barracuda at Kai-Tak Airfield in 1945. 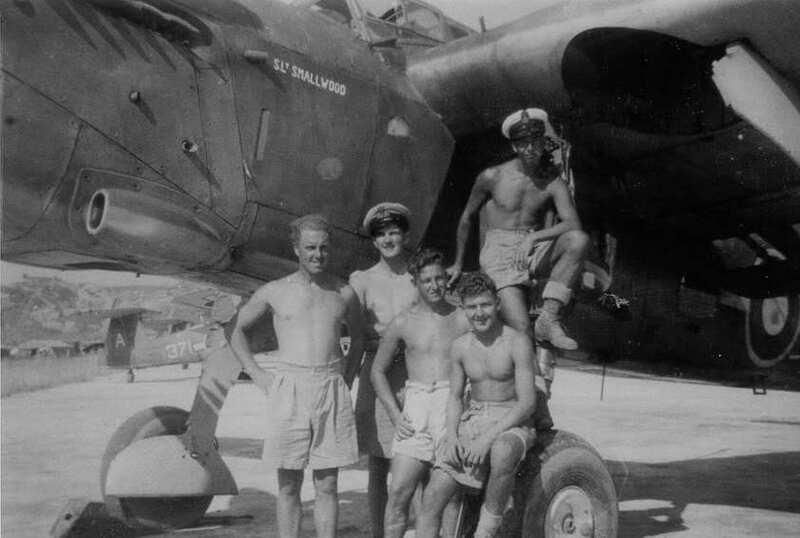 Back Row (l to r) Air Mechanic Charles 'Chuck' Whitehouse, Lt. T. Dewsnap (O). Front Row (l to r) ?, ?, S/L. A. Balfour (P) and P.O. Wynn (TAG).